Univ Of Minnesota Press, 9780816674749, 312pp. Before the introduction of factory shift work, Americans enjoyed a range of sleeping practices, most commonly two nightly periods of rest supplemented by daytime naps. The new sleeping regimen—eight uninterrupted hours of sleep at night—led to the pathologization of other ways of sleeping. 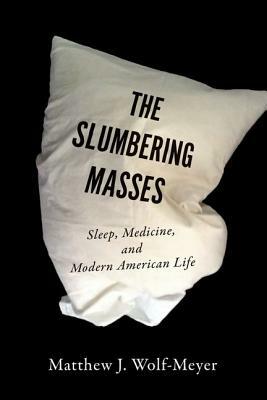 Arguing that the current model of sleep is rooted not in biology but in industrial capitalism’s relentless need for productivity, The Slumbering Masses examines so-called Z-drugs that promote sleep, the use of both legal and illicit stimulants to combat sleepiness, and the contemporary politics of time. Wolf-Meyer concludes by exploring the extremes of sleep, from cases of perpetual sleeplessness and the use of the sleepwalking defense in criminal courts to military experiments with ultra-short periods of sleep. Matthew Wolf-Meyer is assistant professor of anthropology at the University of California, Santa Cruz.